TRAFFIX staff provides free assistance to area businesses and military commands. We help them develop and implement customized transportation alternative programs to lower commuting costs, increase productivity, and improve the quality of life for their staff. Commuter programs can support employees who use alternate modes of transportation, which can include employees who carpool, vanpool, bike or walk to work, have a compressed work week or flexible hours, telework or take transit. Supporting commuting alternatives can benefit employers through improvements in employee wellness, productivity, and retention. Potential savings are available to employer through tax benefits and reduced parking demand. TRAFFIX Commuter Benefits Program can stand side-by-side with your organization’s medical, dental and vision benefits. Discuss Parking Management options, such as preferential parking for car and vanpoolers, using TRAFFIX hang tags and signage and creating a parking management plan. Carpool matching and commuter rewards through the TRAFFIX Rewards program. 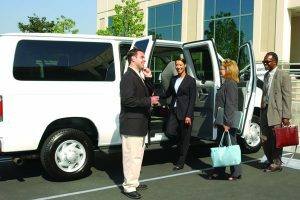 Sponsor Vanpool formation with third party vendors or participate in a stipend or subsidy for the cost of leasing a van. Qualified Transportation Fringe Benefit IRS 132(f) for a ride in a commuter highway vehicle between the employee’s home and work place, a transit pass and qualified parking. HRT GoPass365 is a yearly pass available to employers to help with employees’ transportation needs as an incentive or benefit. In addition to the items listed above, TRAFFIX has a dedicated military outreach specialist to help your base and command with commuting options. Our military office is in Building C-9 at Naval Station Norfolk, and is responsible for all bases in the region. Onsite presentations to employees such as monthly INDOC presentations, transportation/health fairs and community events.